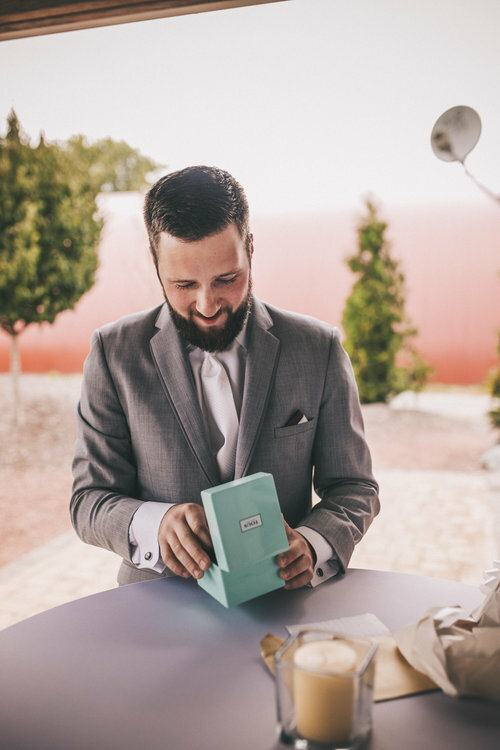 Traditionally, a small gift is delivered to your groom as you are preparing for the ceremony. Here are 15 ways to tug at his heart strings! 12. A nice set of tools, golf clubs, BBQ equipment...whatever their hobby is!